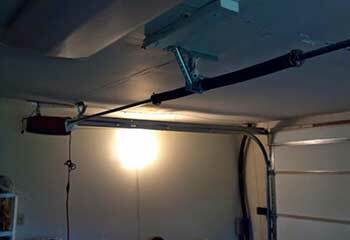 Let our professional garage door technicians handle any problem you're experiencing. We specialize in repairing and installing everything from old panels to new opener models. Learn some more about how we can help by checking out our latest projects. 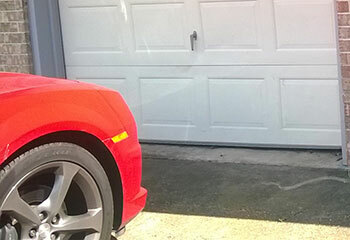 Customer Issue: A minor collision pushed several rollers on both sides of the garage door out of their tracks. Our Solution: Fortunately, the door and tracks themselves had only minor dents, and were still operational at least for the time being. The team lifted the door off and returned it to its track, and after testing it out advised the customer to consider having the tracks replaced soon. Our Solution: There were no obstructions clogging the tracks, nor were there any bent sections. However, as we checked the opener safety sensors we found that they were misaligned. After we repositioned them, the door was able to close without stopping or reversing anymore. 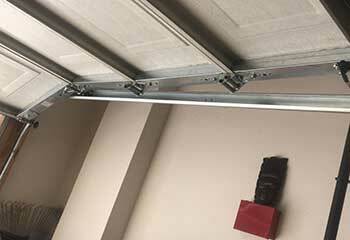 Our Solution: This customer had a sectional steel garage door, so we were able to remove the damaged panels and install new ones in their place, thus preserving the security and general visual appeal of the door. Customer Issue: Broken extension springs. 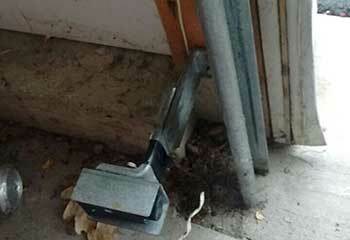 Our Solution: Before starting to work on the customer's door, we made sure the lift cables were intact and not frayed. Then we proceeded to disconnect the safety cables and what was left of the old springs and install new units in their place.